The Open AIDS Journal is an Open Access online journal, which publishes peer reviewed research articles, reviews and letters in the diverse field of HIV/AIDS. The journal covers recent studies on experimental, clinical, translational, social, epidemiological and behavioral aspects, along with therapeutics, pathogenesis, vaccines, drug resistance, prevention of HIV/AIDS, and search for diagnostics, cure and virology of HIV/AIDS. Original articles on animal models for AIDS treatment research are also included. 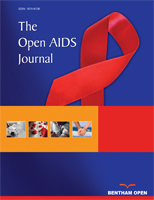 The Open AIDS Journal is an important and reliable source of current information on important developments in the field. Emphasis is placed on publishing quality papers rapidly, making them freely available to the researchers worldwide.